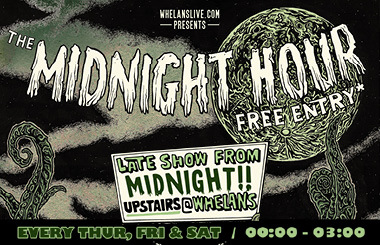 Whelanslive.com & O’Hara’s Craft Beers are proud to bring you The Midnight Hour. Showcasing the best new talent in Ireland & beyond. New California Republic – Canada’s alt-country and indie quintet 🇨🇦 are back in Dublin for one night only 🇮🇪. Fronted by Toronto musician Dave Singleton (formerly of Sad Boys Glee Club) the NCR bring a transatlantic sound, merging punk rock with Americana.